THE UNEMPLOYED EATER: Pizza, Pizza. Next LA Pizza Society Shindig Announcement Coming Monday. Pizza, Pizza. Next LA Pizza Society Shindig Announcement Coming Monday. While I can't make any promises regarding your weekend, I can pledge this: Monday you will have anything but the normal Monday Morning Feeling doldrums. Why you ask? 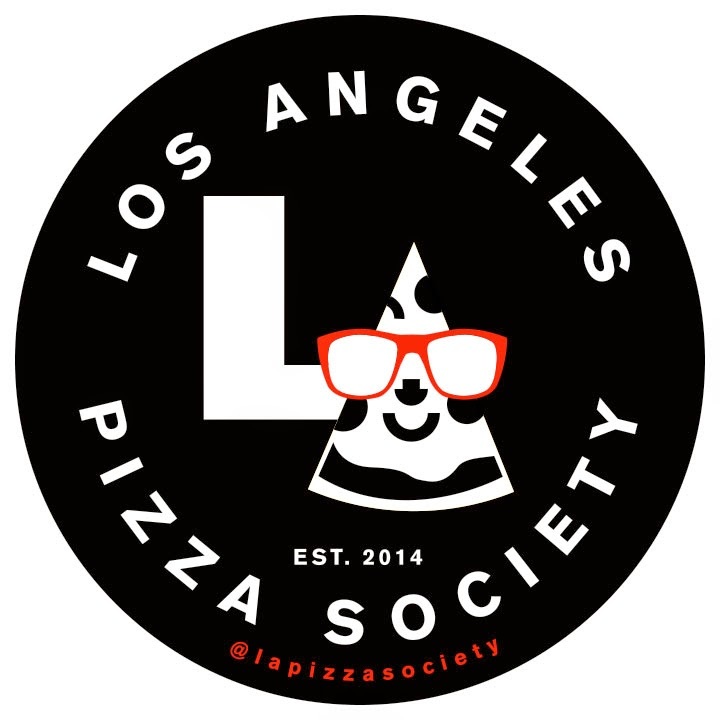 Because we will be making an announcement on the location and ticket info for the LA Pizza Society Shindig #2! I know, crazy. Although the particulars will eventually trickle to this here web-log, make sure you're following LAPS on Insta and Twitter. Also, once tickets are available, mailing list members will have first crack at them. So if that sounds like something of interest to you (and it should be of extreme interest to everybody), join the mailing list by simply emailing your name and email to the LAPS email. Feverishly excited to announce the second locale of adult pizza partying mayhem. See ya Monday. Note: Shout-out to LAPS member, Kevin Smith, who designed the rad logo. Kevin, you may root for the wrong sports teams, but you're a gentleman and a scholar.